Alfred Garrievich Schnittke (Russian: Альфре́д Га́рриевич Шни́тке, Alfred Garrievich Shnitke; November 24, 1934 – August 3, 1998) was a Soviet and German composer. Schnittke's early music shows the strong influence of Dmitri Shostakovich. He developed a polystylistic technique in works such as the epic Symphony No. 1 (1969–1972) and his first concerto grosso (1977). In the 1980s, Schnittke's music began to become more widely known abroad with the publication of his second (1980) and third (1983) string quartets and the String Trio (1985); the ballet Peer Gynt (1985–1987); the third (1981), fourth (1984), and fifth (1988) symphonies; and the viola concerto (1985) and first cello concerto (1985–1986). As his health deteriorated, Schnittke's music started to abandon much of the extroversion of his polystylism and retreated into a more withdrawn, bleak style. Schnittke's father, Harry Viktorovich Schnittke [ru] (1914–1975), was Jewish and born in Frankfurt. He moved to the Soviet Union in 1927 and worked as a journalist and translator from the Russian language into German. His mother, Maria Iosifovna Schnittke (née Vogel, 1910–1972), was a Volga German born in Russia. Schnittke's paternal grandmother, Tea Abramovna Katz (1889–1970), was a philologist, translator, and editor of German-language literature. Alfred Schnittke was born in Engels in the Volga-German Republic of the Russian SFSR. He began his musical education in 1946 in Vienna, where his father had been posted. It was in Vienna, Schnittke's biographer Alexander Ivashkin writes, where "he fell in love with music which is part of life, part of history and culture, part of the past which is still alive." "I felt every moment there," the composer wrote, "to be a link of the historical chain: all was multi-dimensional; the past represented a world of ever-present ghosts, and I was not a barbarian without any connections, but the conscious bearer of the task in my life." Schnittke's experience in Vienna "gave him a certain spiritual experience and discipline for his future professional activities. It was Mozart and Schubert, not Tchaikovsky and Rachmaninoff, whom he kept in mind as a reference point in terms of taste, manner and style. This reference point was essentially Classical ... but never too blatant." In 1948, the family moved to Moscow. Schnittke completed his graduate work in composition at the Moscow Conservatory in 1961 and taught there from 1962 to 1972. Evgeny Golubev was one of his composition teachers. Thereafter, he earned his living chiefly by composing film scores, producing nearly 70 scores in 30 years. Schnittke converted to Christianity and possessed deeply held mystic beliefs, which influenced his music. Schnittke and his music were often viewed suspiciously by the Soviet bureaucracy. His First Symphony was effectively banned by the Composers' Union. After he abstained from a Composers' Union vote in 1980, he was banned from travelling outside of the USSR. On 21 July 1985, Schnittke suffered a stroke that left him in a coma. He was declared clinically dead on several occasions, but recovered and continued to compose. In 1990, Schnittke left the Soviet Union and settled in Hamburg, West Germany. His health remained poor, however. He suffered several more strokes before his death on August 3, 1998, in Hamburg, at the age of 63. He was buried, with state honors, at the Novodevichy Cemetery in Moscow, where many other prominent Russian composers, including Dmitri Shostakovich, are interred. Schnittke's early music shows the strong influence of Dmitri Shostakovich, but after the visit of the Italian composer Luigi Nono to the USSR, he took up the serial technique in works such as Music for Piano and Chamber Orchestra (1964). However, Schnittke soon became dissatisfied with what he termed the "puberty rites of serial self-denial." He created a new style which has been called "polystylism", where he juxtaposed and combined music of various styles past and present. He once wrote, "The goal of my life is to unify serious music and light music, even if I break my neck in doing so." His first concert work to use the polystylistic technique was the second violin sonata, Quasi una sonata (1967–1968). He experimented with techniques in his film work, as shown by much of the sonata appearing first in his score for the 1968 animation short The Glass Harmonica [ru]. He continued to develop the polystylistic technique in works such as the epic First Symphony (1969–1972) and First Concerto Grosso (1977). Other works were more stylistically unified, such as his piano quintet (1972–1976), written in memory of his recently deceased mother. In the 1980s, Schnittke's music began to become more widely known abroad, thanks in part to the work of émigré Soviet artists such as the violinists Gidon Kremer and Mark Lubotsky. Despite constant illness, he produced a large amount of music, including important works such as the Second (1980) and Third (1983) String Quartets and the String Trio (1985); the Faust Cantata (1983), which he later incorporated in his opera Historia von D. Johann Fausten; the ballet Peer Gynt (1985–1987); the Third (1981), Fourth (1984) and Fifth (1988) Symphonies (the last of which is also known as the Fourth Concerto Grosso) and the Viola (1985) and First Cello (1985–1986) concertos. As his health deteriorated, Schnittke started to abandon much of the extroversion of his polystylism and retreated into a more withdrawn, bleak style, quite accessible to the lay listener. The Fourth Quartet (1989) and Sixth (1992), Seventh (1993) and Eighth (1994) symphonies are good examples of this. Some Schnittke scholars, such as Gerard McBurney, have argued that it is the late works that will ultimately be the most influential parts of Schnittke's output. After a stroke in 1994 left him almost completely paralysed, Schnittke largely ceased to compose. He did complete some short works in 1997 and also a Ninth Symphony; its score was almost unreadable because he had written it with great difficulty with his left hand. The Ninth Symphony was first performed on 19 June 1998 in Moscow in a version deciphered – but also 'arranged' – by Gennady Rozhdestvensky, who conducted the premiere. After hearing a tape of the performance, Schnittke indicated he wanted it withdrawn. After he died, though, others worked to decipher the score. Nikolai Korndorf died before he could complete the task, which was continued and completed by Alexander Raskatov. In Raskatov's version, the three orchestral movements of Schnittke's symphony may be followed by a choral fourth, which is Raskatov's own Nunc Dimittis (in memoriam Alfred Schnittke). This version was premiered in Dresden, Germany, on June 16, 2007. Andrei Boreyko also has a version of the symphony. ^ Interviews with Alfred Schnittke. ^ a b Ivashkin, 32. ^ As quoted in Ivashkin, 32. ^ "Alfred Schnittke Biography". Boosey & Hawkes, Inc. Retrieved 2008-08-11. ^ A Schnittke Reader. Edited by Alexander Ivashkin. Indiana University Press, 2002. ^ McBurney, Gerard. "Viola Concerto (1985)". american symphony.org. Retrieved 17 February 2019. ^ Alexander Ivashkin, booklet notes to BIS-CD-1727 (2009). Alexander Ivashkin (1996). Alfred Schnittke. Phaidon Press. ISBN 0-7148-3169-7. Peter J. Schmelz (2009). Such freedom, if only musical: The beginning of unofficial Soviet music during the Thaw. Oxford University Press. ISBN 978-0-19-534193-5. Alfred Schnittke (2002). Alexander Ivashkin (ed.). A Schnittke Reader. Indiana University Press. ISBN 0-253-33818-2. Retrieved 25 December 2012. Альфред Шнитке (2003). Александр Ивашкин (ed.). Беседы с Альфредом Шнитке. Классика XXI. ISBN 5-89817-051-0. Christian Storch (2011). Der Komponist als Autor. Alfred Schnittkes Klavierkonzert. Böhlau. ISBN 978-3-412-20762-5. 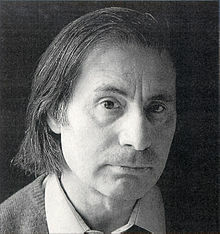 Wikimedia Commons has media related to Alfred Schnittke.